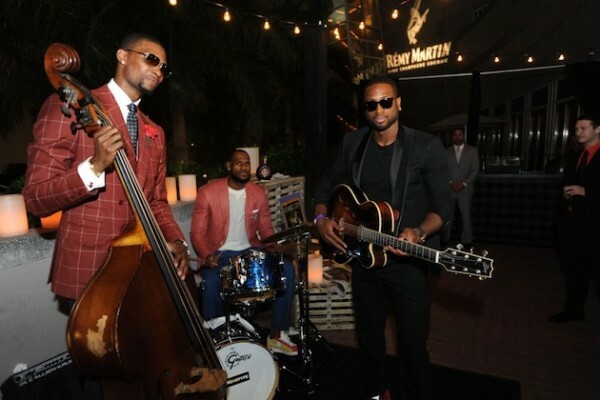 Recently NBA star Chris Bosh celebrated his 28th birthday with his wife Adrienne and Miami Heat teammates Lebron James and Dwayne Wade. 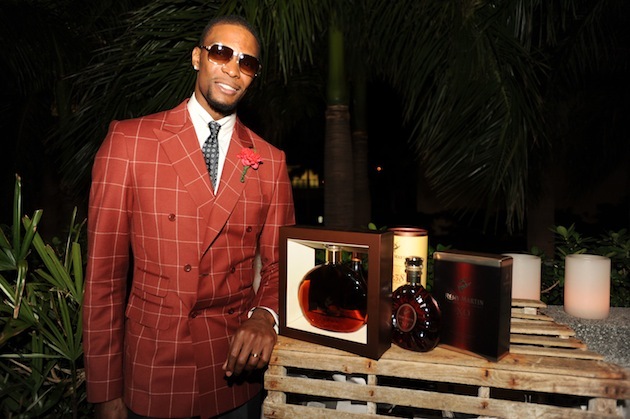 The party was hosted by Rémy Martin, and the theme for the celebration was 1920s style. 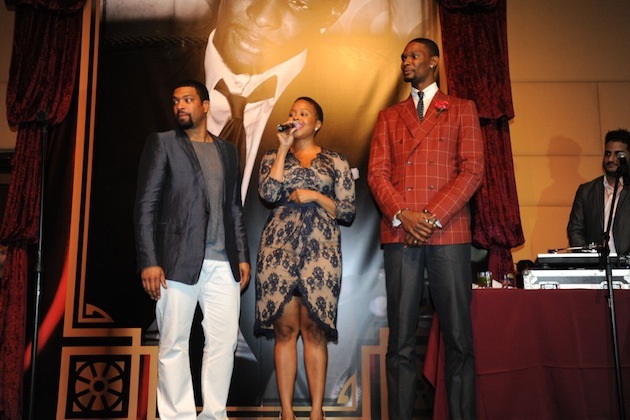 Bosh wore a crimson double breasted window pane peek lapel suit jacket. It was paired with a white pinched collar button down, patterned gray tie to accompany his gray slacks and dark-to-light medium faded peanut butter wingtip loafers. He used a single flower as a brooch to bring in the 20's era. [Bosh 'ya done well son' as my grand dad would say]. Dwayne played it safe in all black everything. He wore an all black dinner jacket with satin shawl lapel paired with a black crew neck tee and black slacks. He accented the richness of the 20's era with a gold belt buckle to match the gold of his watch bezel. 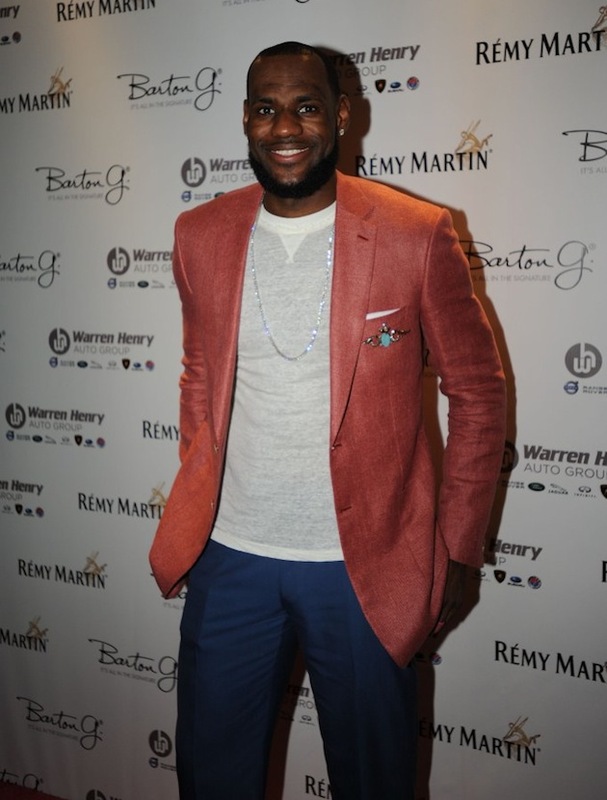 Lebron James wore a salmon colored blazer with a thin muted gray sweater and blue trousers. 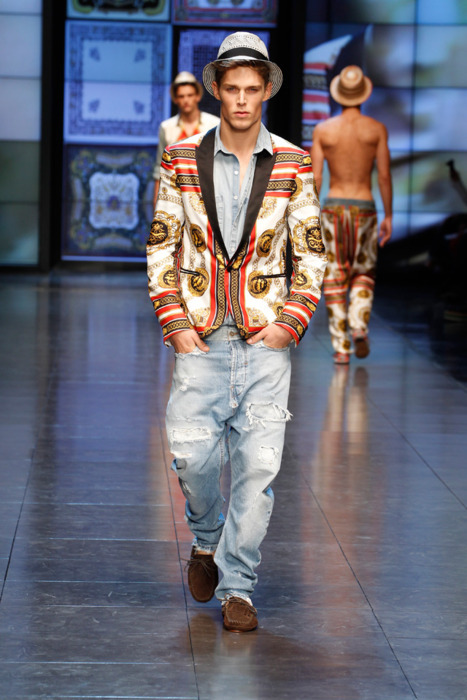 He too accented his jacket with an ornate turquoise brooch and added some bling around his neck. 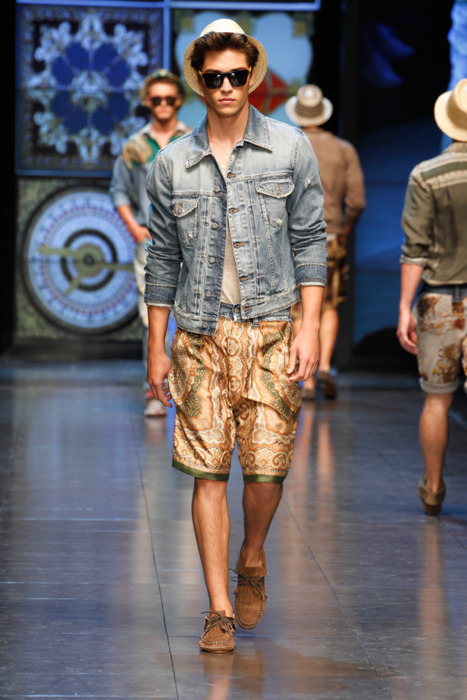 Not really 20's style per say, but we approve! 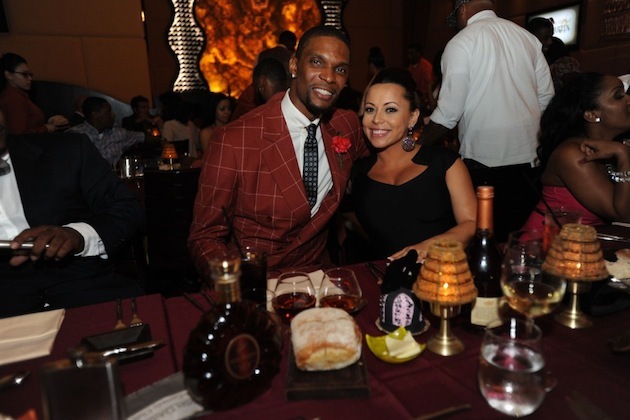 Bosh photo'd with his pregnant wife Adrienne. Chris getting a surprise performance by Chrisette Michelle. All in all it looked like a great event to attend..... I just had one overall issue, where was my invite? 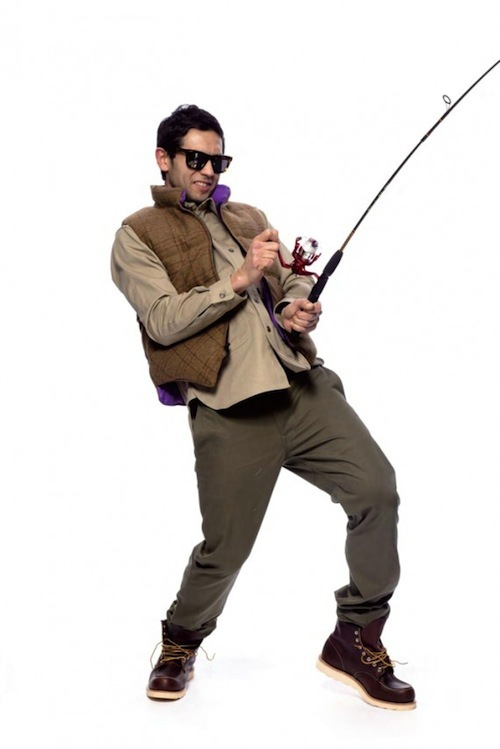 (lol) Maybe for the 29th, The X-Stylez Blog will be a shew-in. 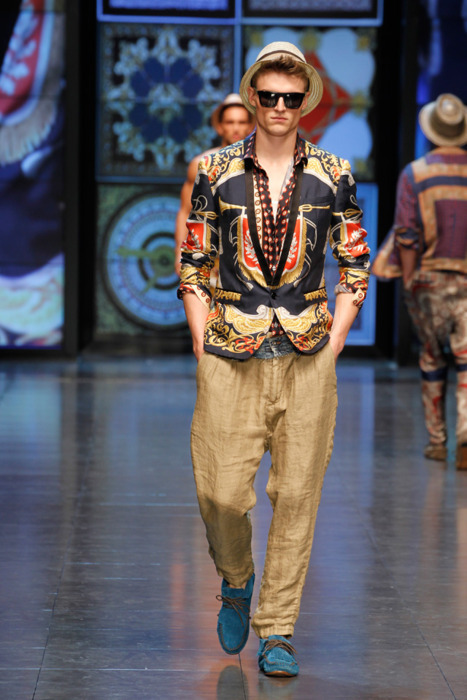 Italian fashion power house Gucci is extending its menswear offerings to include "Made to Measure", an in-store tailoring service that is only offered in 11 cities worldwide. In addition to offering fabrics from an exclusive selection, the service provides for customizable options with finishes and detailing which allows personal tailoring according to the client’s individual measurements. The range of exclusive, top-quality materials includes nearly 82 textiles which allow for 178 possible combinations of colors and fabrics – wool, cashmere and mohair in classic shades of gray, navy blue and brown, alongside silk satin, velvet and baby lama for evening, with Diamante embroidery and jacquards featuring the House’s iconic horsebit in tone-on-tone combinations-------- WOW. I didn't think Gucci could be upgraded even more outside of their outstanding lines each season, they never seize to amaze me. 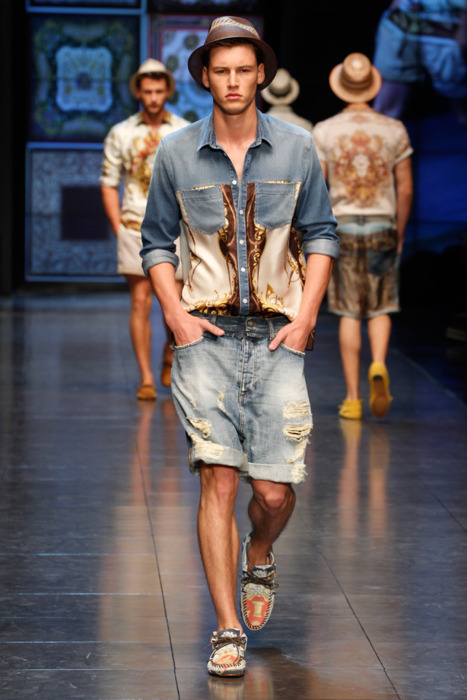 Already at their peek in leading men's fashion, they continue to soar to new heights. I look forward to seeing what else comes in the future. Chanel has just recently released an "Oldie but Goodie" --- The Little Black Jacket. 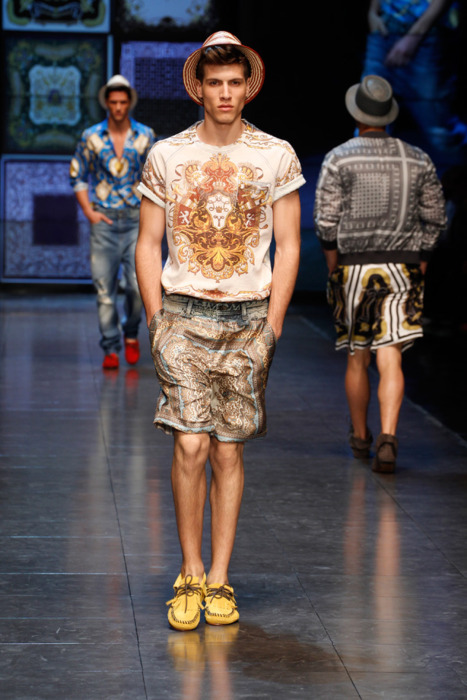 The idea was revisted by designers Karl Lagerfeld and Carine Roitfeld. With rising pop stars and fashion inspirations in marketing ads, I'm sure sales will be boosted among fans. 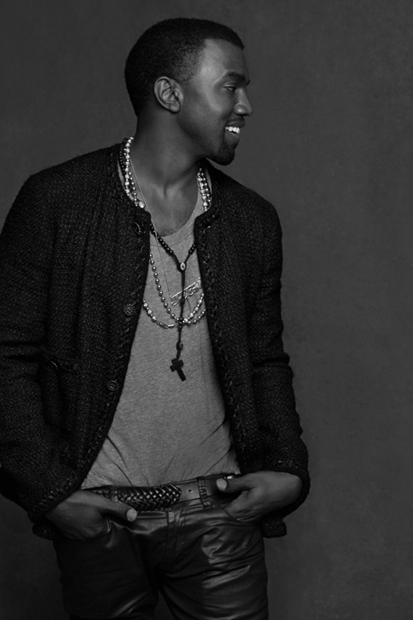 The campaigns utilize personalities including Yoko Ono, Joshua Jackson, Kanye West, Theophilus London, and Riccardo Tisci just to name a few. Mr. West gets his own picture (lol), SELF EXPLANATORY! Not really liking this one. 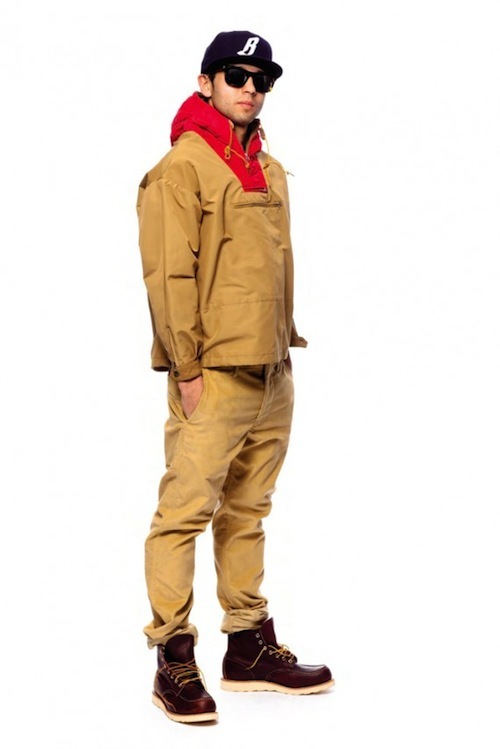 I get where the designers are going and I appreciate this unisex high fashion piece but the fit is not proportional for most men. The little black jacket is indeed "little" and in most regards reminds me of something my mom would wear to work. This piece would be GREAT for a fashion powered photoshoot but in my opinion not practical for everyday wear. However, I do appreciate the awesome black and white photography...... now that's A1. 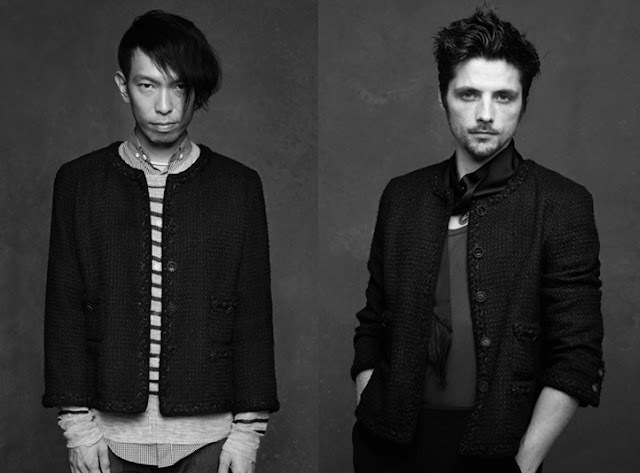 Check out the full look-book on the Official Little Black Jacket for Chanel Website. 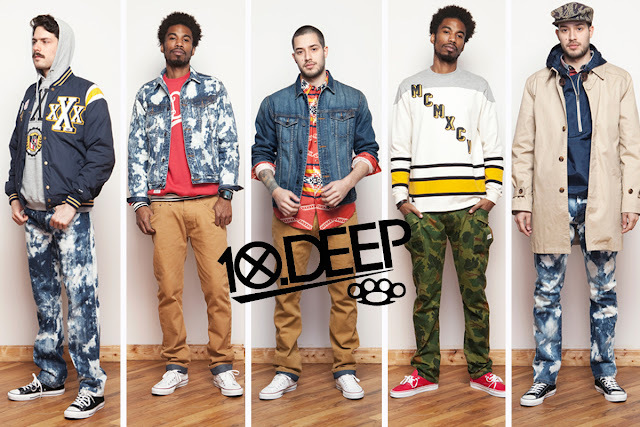 10.Deep NYC releases their Deliver 1 Spring 2012 men's lookbook. 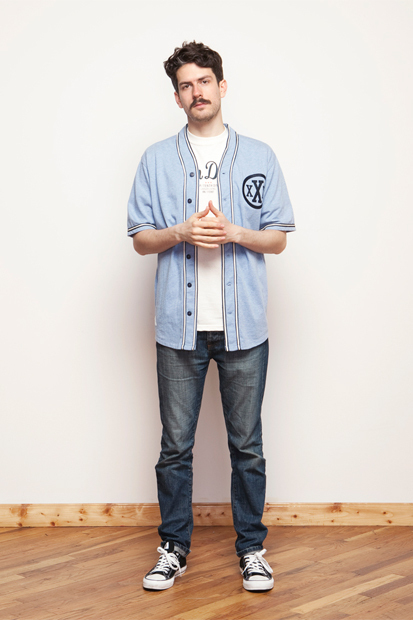 The pieces are an array of lightweight outerwear, button-downs, tees, pullovers, caps, and even a few baseball inspired jerseys and sweatshirts. 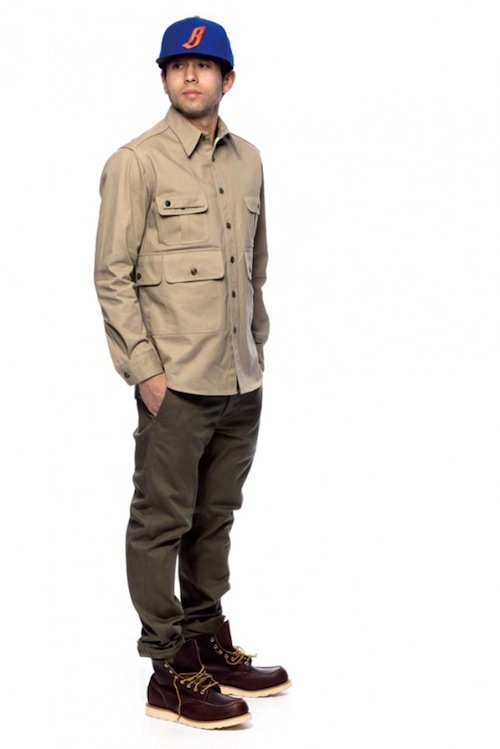 The bottoms include bleached denim, khaki pants with denim cuff, camouflage and your everyday dark and light denim jeans. 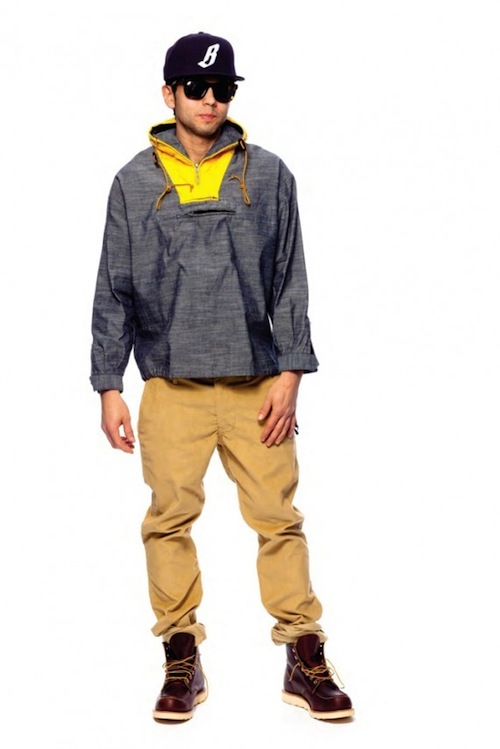 I really like this line and it's very affordable and trendy for everyday wear. 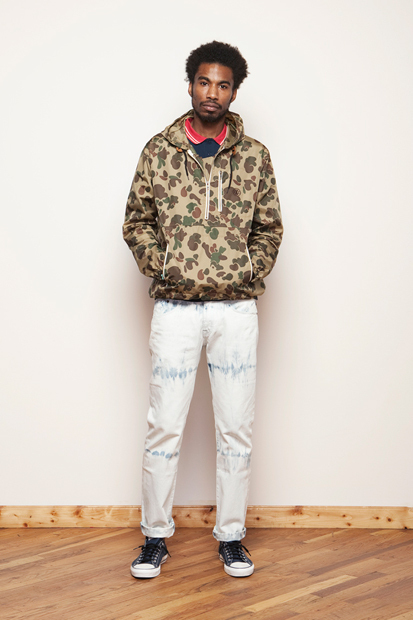 Less traditional camo patterns seem to be the go for the spring and 10.deep stays true to the color wheel by layering pieces to accompany their dramatic fatigues like blues, reds, yellows and neutrals. 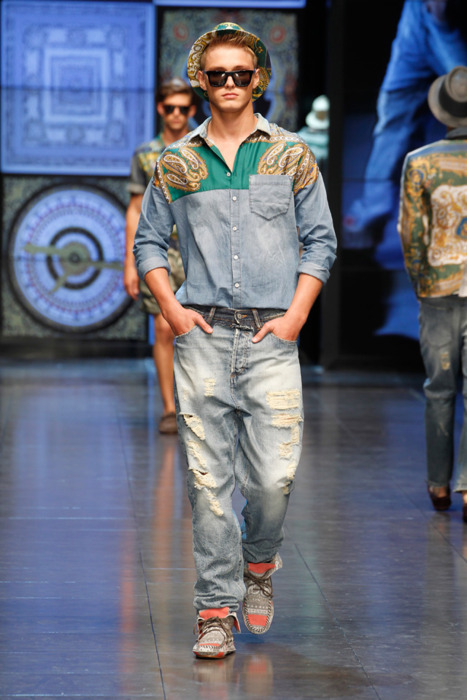 They even throw in a few tribal options into the mix to be paired with their flashy denim pieces. 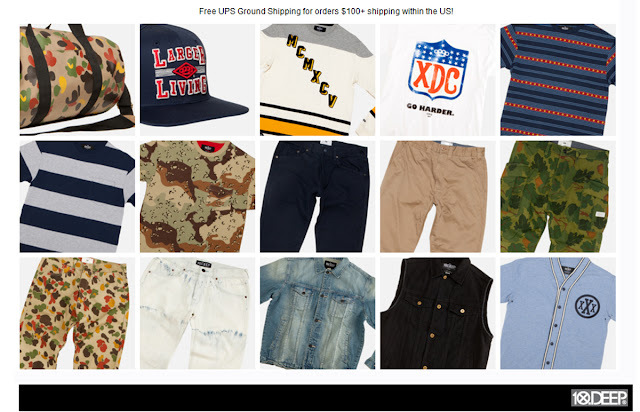 I appreciate collections where you can mix and match and it honestly helps men who may need help in personal styling to know that everything is versatile. Deliver 1 from the 10.Deep Spring 2012 collection is now available in its entirety via the brand’s online store. Check it out here. How many times have you worn your new favorite shoes and after driving the sides have dirt on them from the car mat? Or what about all those times when you've driven in your socks in fear that you might wrinkle your new favorite kicks. We've all seen promotions for driving loafers, but are they really comfortable? What if I told you that there just may be a solution to fashionable shoes that are meant for comfortable driving. 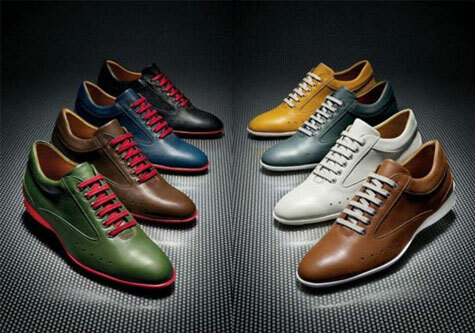 Well that's exactly what shoe maker Aston Martin and John Lobbs have created. 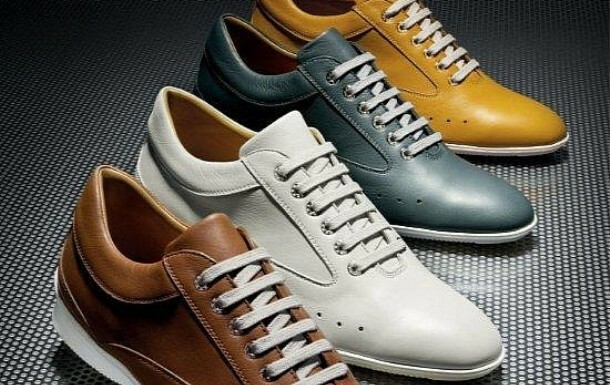 After a shake of hands from Aston Martin’s Director of Design Maerk Reichman and John Lobb’s Creative Director Andres Hernandez, a new addition to the Winner Sports Shoes collection was birthed. 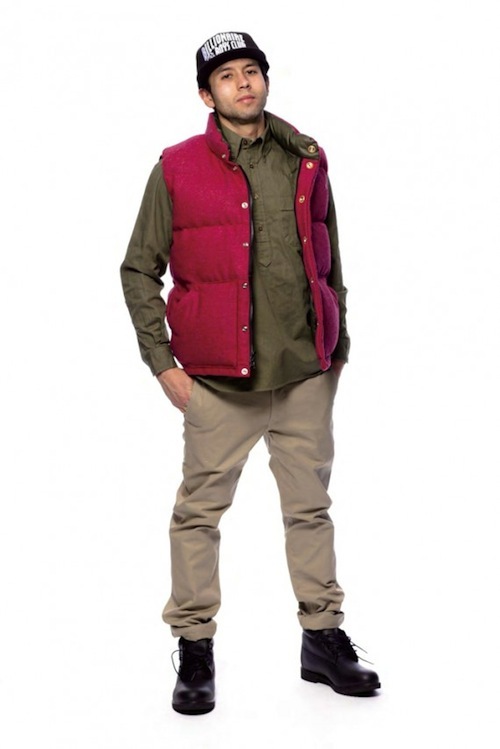 These shoes are made of full grain calfskin lined with supple sheepskin, using soft padding for ankle, metallic eyelets and a rubber sole for the sporty feel. Graphite Grey, Winter Wheat, Frost White and Saddle Tan feature the Sport Stratos White rubber sole, while Storm Black, Bitter Chocolate, Westminster Green and Aurora Blue come with the Racy Fire Red rubber soles, a marsh-up drivers would appreciate. These shoes will be available for purchase this May. Who says your most fashionable shoes can't be made especially for driving? 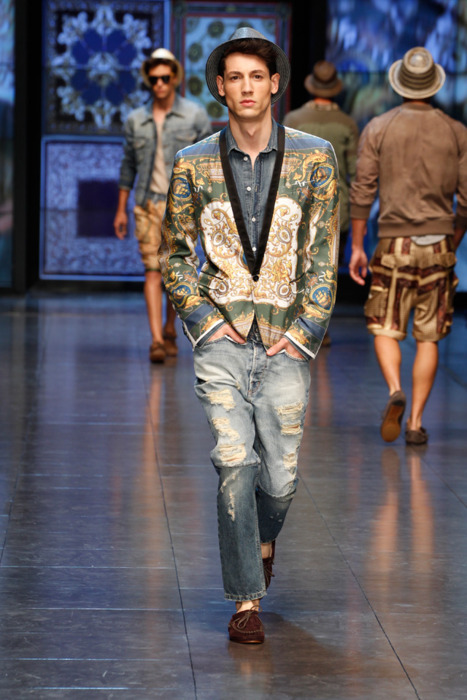 From beginning to end, it’s evident that D&G’s Spring/Summer Collection 2012 is a collaboration of denim and paisley. Although I'm not the biggest fan of the bottoms from this collection, I can definitely see myself wearing most of the tops. 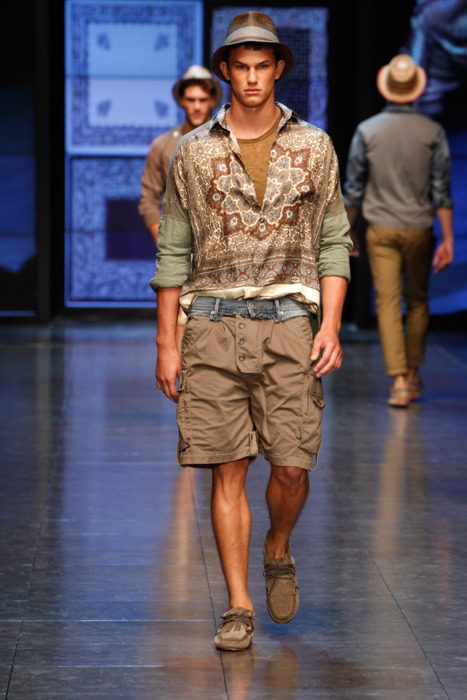 The collection encompasses a lot of bold patters and bright colors fit for an ideal wardrobe when packing for a "Vacation Destination". 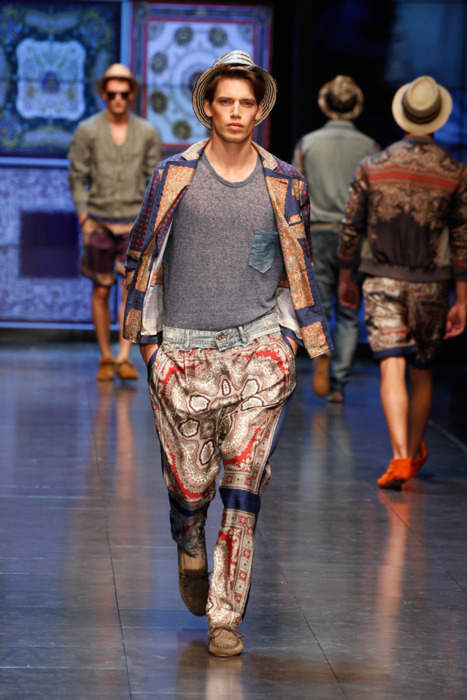 The marsh-up of light denim and paisley silk prints is displayed from jackets, bombers, trousers, moccasins, fedoras, shirts and shorts. 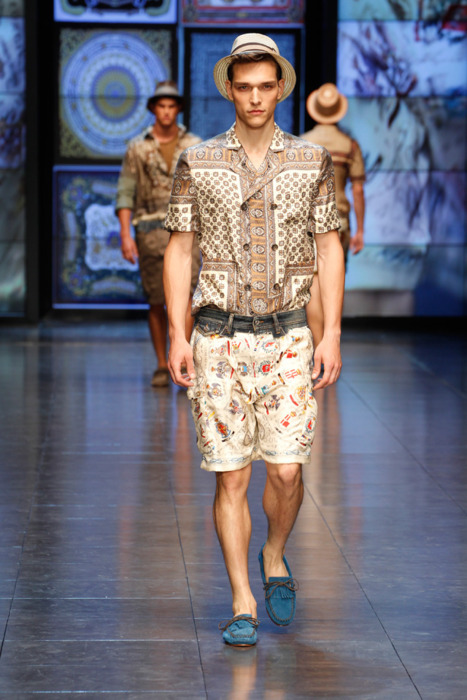 Is D & G proclaiming that an invasion of silk is the silhouette of choice to be a trend of the Spring/Summer 2012? These two would probably be my picks for favorite looks from the collection. Simple yet impactful. This reminds me a lot of Vercase. I like! 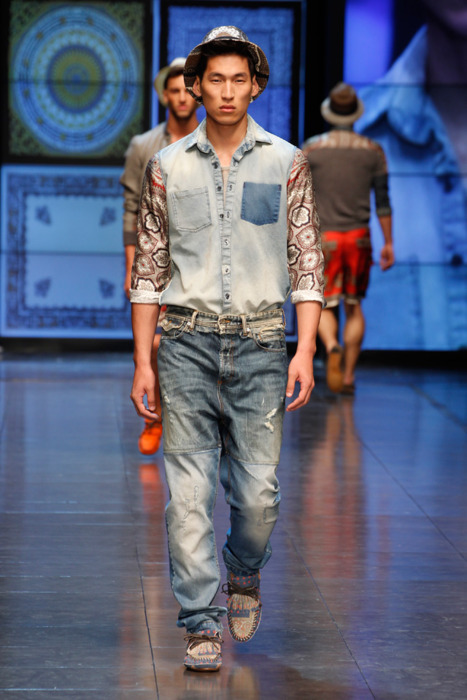 D&G does a good job contrasting the manliness and ruggedness of denim with paisley printed silk fabrics. 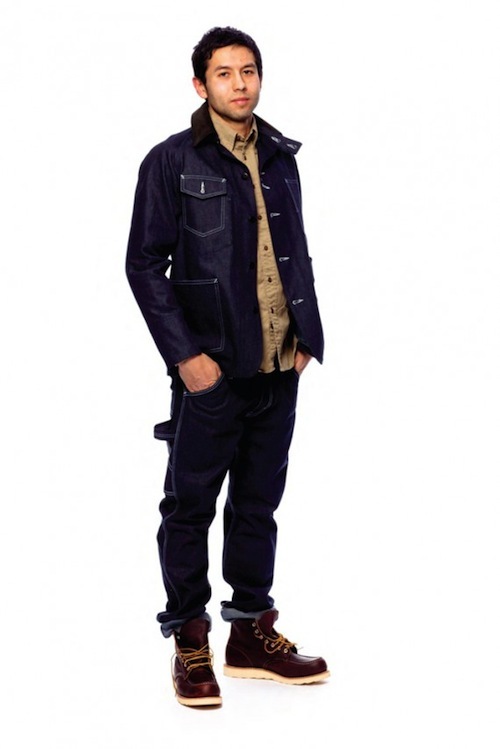 They give a different approach to the quintessential top-to-bottom denim ensemble most commonly worn today. I know denim and chambray lovers everywhere are rejoicing at the divine marriage of another fabric to be added to the mix of or favorite go-to shirts and jackets. I myself now have a new appreciation of the two fabrics combined. 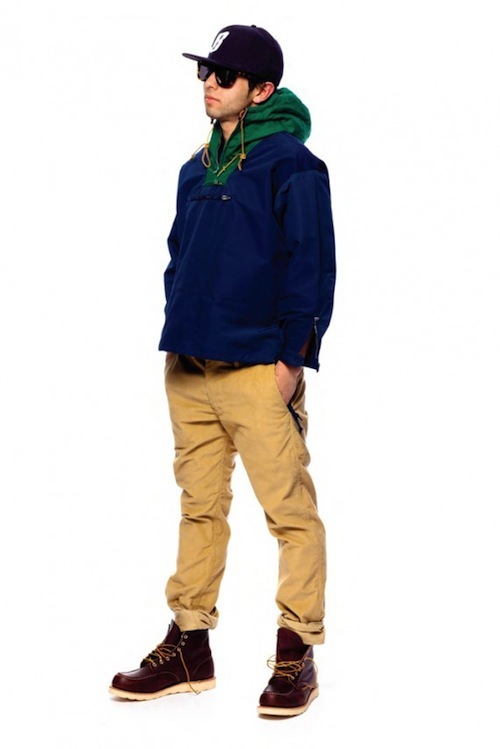 How do you feel about the new line? Yay or Nay? 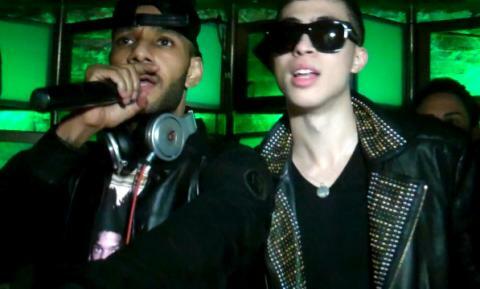 Brother of singer Alicia Keys, Cole Cook turned 21 this weekend and celebrated in style. 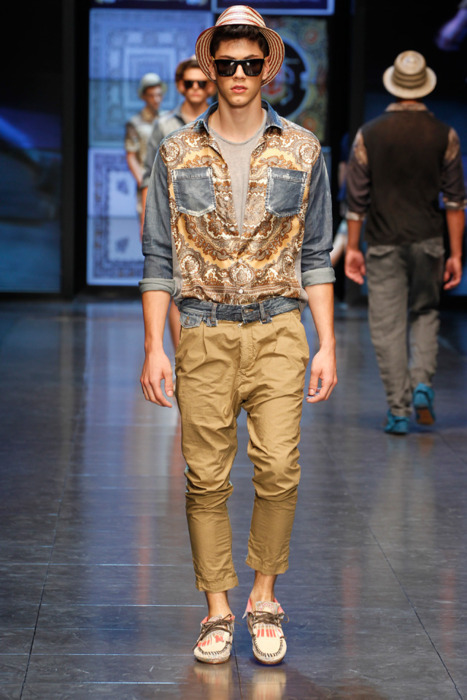 He wore a black leather Versace for H and M biker jacket paired with a pair of Christian Louboutin spiked sneakers. 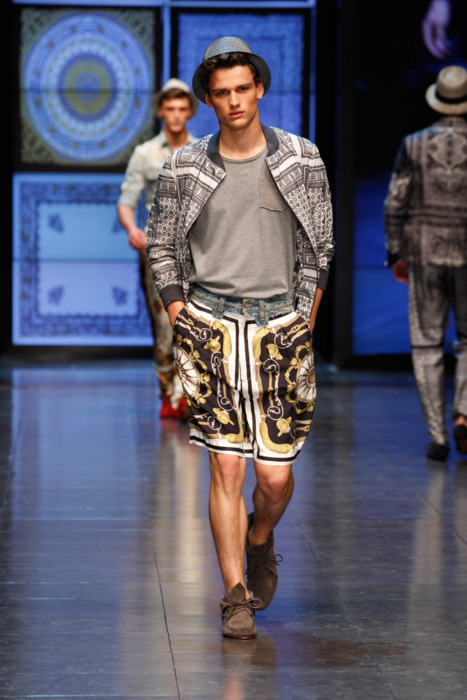 Check out my blog post on the Versace for H and M release here. Cole Cook partying along brother-in-law Swiss Beatz at Club SL. 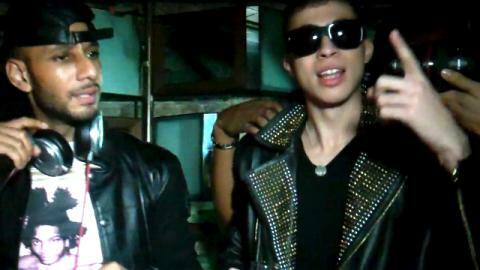 Tweet from Alicia Keys: Today is my amazing brother @cole_cook birthday!!! he's so fly he donated his bday 2 KCA!! Lets show him love !! 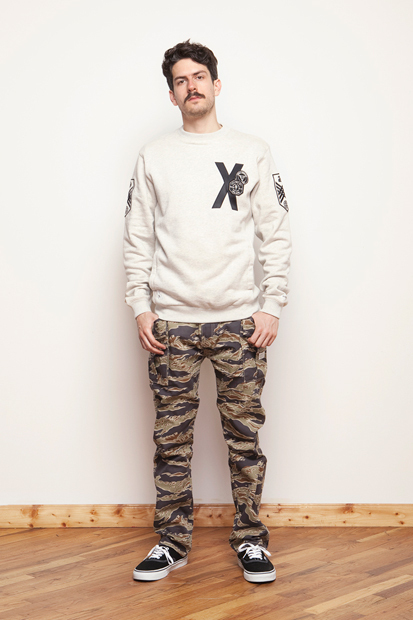 This is a dope yet simple outfit. We approve! 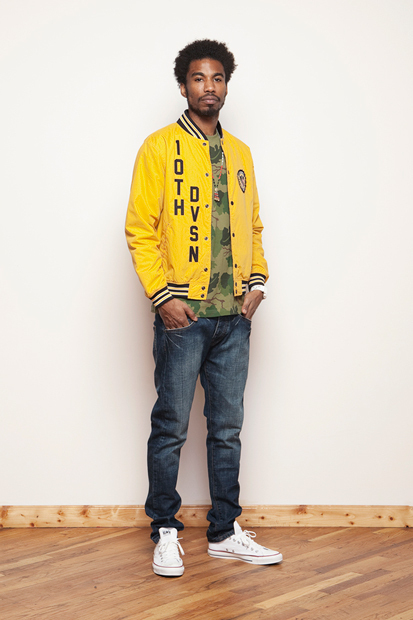 You can never go wrong with a few labels in your closet. T R E A T Y O U R S E L F! 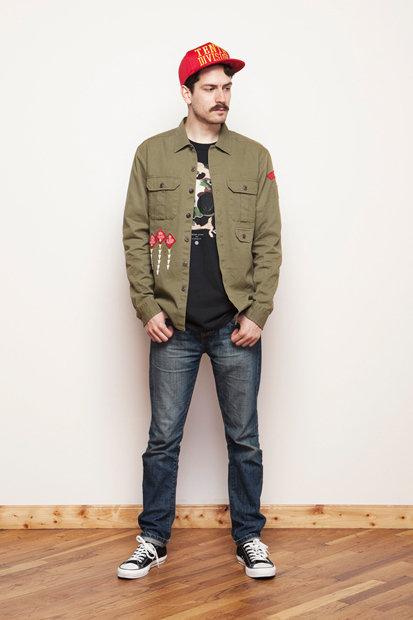 Although we're just a few days into the start of Spring "Bee Line", a collaboration between Pharrell Williams and Mark McNairy has just released their 2012 Fall and Winter Lookbook. 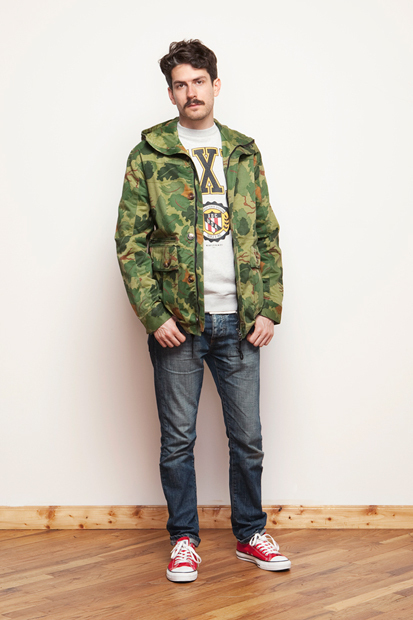 Largely made in the U.S.A. with the exception of a few pieces made in Scotland, which clearly shows the influence of McNairy and his manufacturing ethics, this line shows off the stylings of both fashion headers with McNairy’s manufacturing techniques and Pharrell’s Billionaire Boys Club urban aesthetic. In this collection you will see a large a range of knits, button up shirts, khakis, camouflage, carpenter denim, pullovers and warm outerwear. 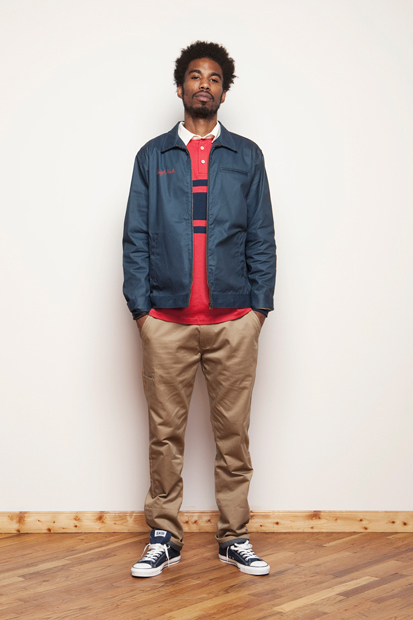 Take a look at the full lookbook below, are you feeling the new line?